After installing and configuring the app, you can use it by long-pressing the SPen remote button. When you long-press, the SPen Volume app will open and toggle volume MUTE. The screen will briefly display “MUTE” or “UNMUTE”, depending on the new volume state. While “UNMUTE” is displayed, you can single-press the SPen button to increase sound volume or double-press it to decrease volume. Note that the app will only be active for a few seconds and will “beep” to let you know it is finished. 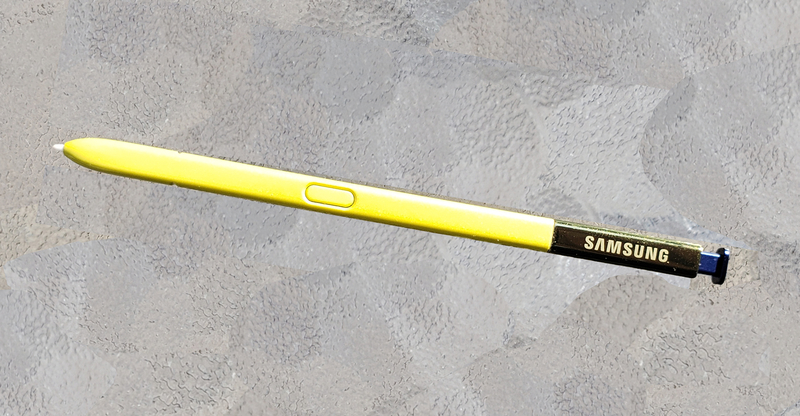 Once the app beeps, it terminates itself and SPen Volume stops controlling sound, until the next long-press of the Spen button. Be aware that when this app starts, any app currently in the foreground might minimize itself, for example ‘YouTube’ will minimize; however, other apps like ‘HULU’, ‘AMC’, ‘FXNOW’, ‘NBC’, ‘SYFY’, ‘TCM’, ‘TNT’, ‘The CW’ and ‘TuneIn Radio’ do not currently minimize, letting you easily ignore commercials. The SPen Volume app has no control over the behavior of other apps and can only adjust sound while it is active from a long-press of the SPen button. This app collects no information and does not have Internet permission. If you are a ‘C’ or ‘C++’ programmer you are likely familiar with the #IFDEF syntax used for pre-processing source code. Unfortunately, Java has no pre-processor for managing conditional code like this. When building Android apps, a developer will typically handle dependencies on ‘flavor’ and ‘buildType’ by placing modified versions of source under specially named directories. For example, handling code differences between a ‘paid’ vs. ‘free’ app may lead to 4 versions: paidRelease, freeRelease, paidDebug and freeDebug. Code duplication can become even more severe when more than 2 flavors or more than 2 build types are used. That means app maintenance complexity increases exponentially; the developer must remember to change code similarly in all versions of a duplicated class. Gradle build rules can be employed to allow a Java source file to contain conditional source for processing all flavor and build type combinations. This post shows you how to do that. I assume you are already familiar with using Gradle and Android Studio for app development. //              or 'paiddebug' or 'freedebug' or 'paidrelease' or 'freerelease'..
//              these are all valid 'configuration' entries and will be processed by #IFDEF depending on buildType and flavor. // Note that nested #IFDEF statements are not supported (and there is no actual need to nest). // Now during a gradle build, the appropriate lines of java code will be commented and uncommented as required. println "checking for '$ifdefRegex' in $javaFile.name"
// combo BUILD_TYPE+FLAVOR and FLAVOR+BUILD_TYPE examples.. Your support for my work is greatly appreciated!